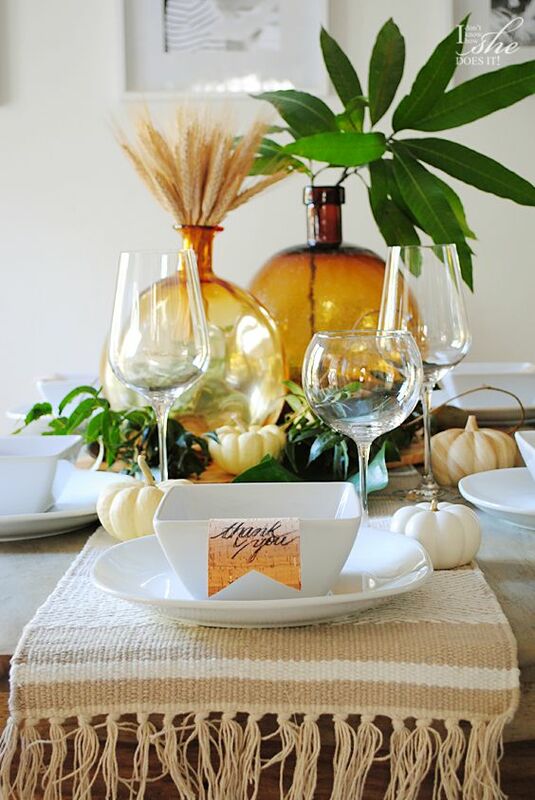 A Thanksgiving table setting doesn’t have to be such a difficult task to accomplish. 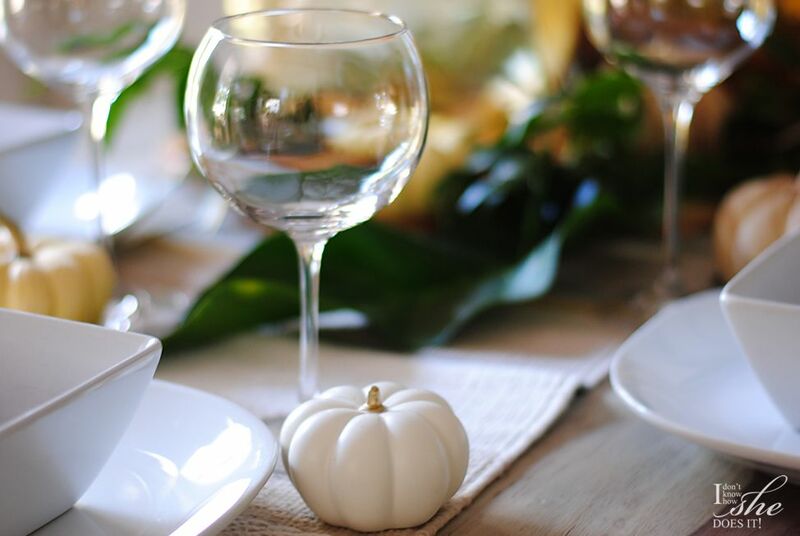 With your basic dinnerware (no fancy one here), some wine glasses and a couple of accents you’ll be more than set for a gathering. 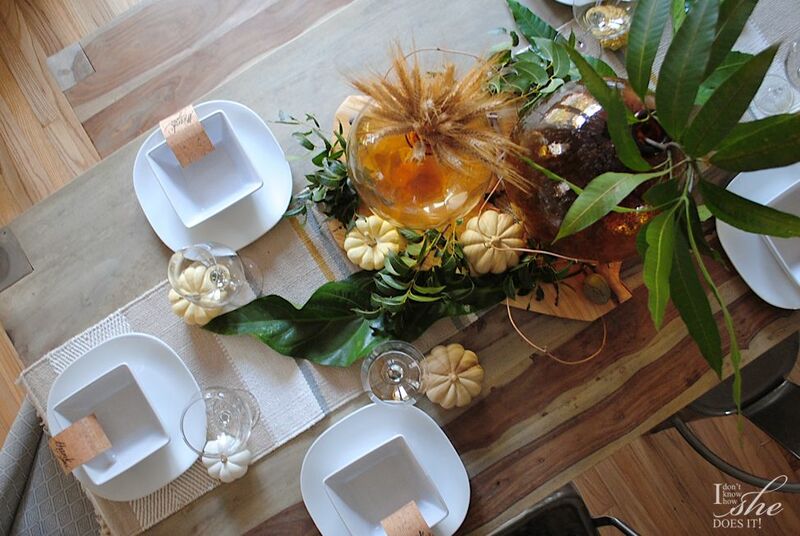 Today I’ll show you how to mix and match these elements to achieve an inviting tablescape. Let’s start with the center of the table. I have had those recycled glass vases forever. They were a great find from my nearest +HomeGoods a couple of years ago and been traveling around different spots in my home. 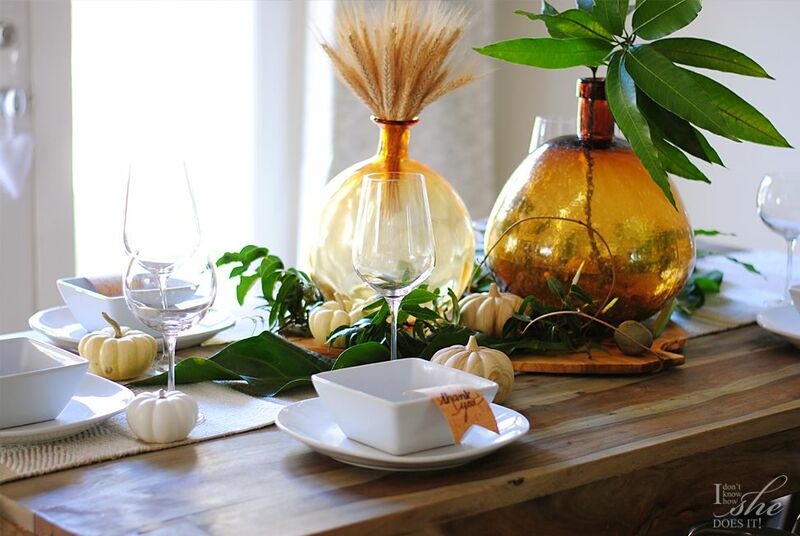 Now I wanted them to be the focal point of my table and because of their lovely amber color and size, these will help set the tone for the rest of the decor. Underneath the vases, I placed a large rustic cutting board (also from HomeGoods) that centered all the main elements of the table. If you’ve followed me for a while now, you’ll notice that I’ve used most of my accessories in other vignettes and that is the case of my dry wheat bunch. 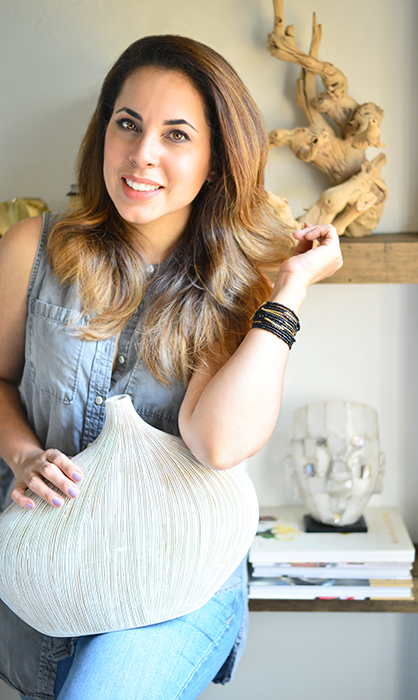 Here I used it on one of the vases besides the mango tree branches to help create a visual balance on sizes. All the green you see here came from my patio, so no need to buy expensive flower arrangements. With a couple of leaves, (dry ones will also look good) you’ll bring some life into your setting. Scattered mini pumpkins (real and faux) were also another recycled element I loved using here. 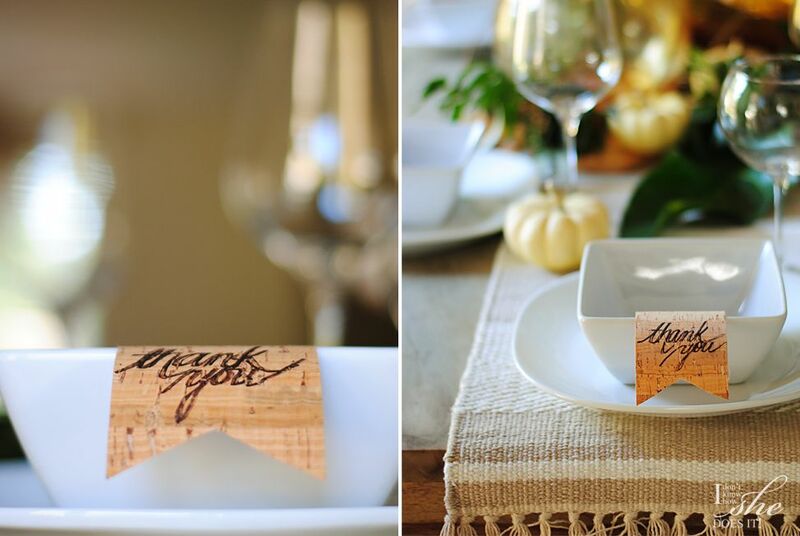 Instead of place cards, I use a piece of cork ribbon (from +Michaels Stores) with “Thank you” handwritten words that added to the rusticity of the table. 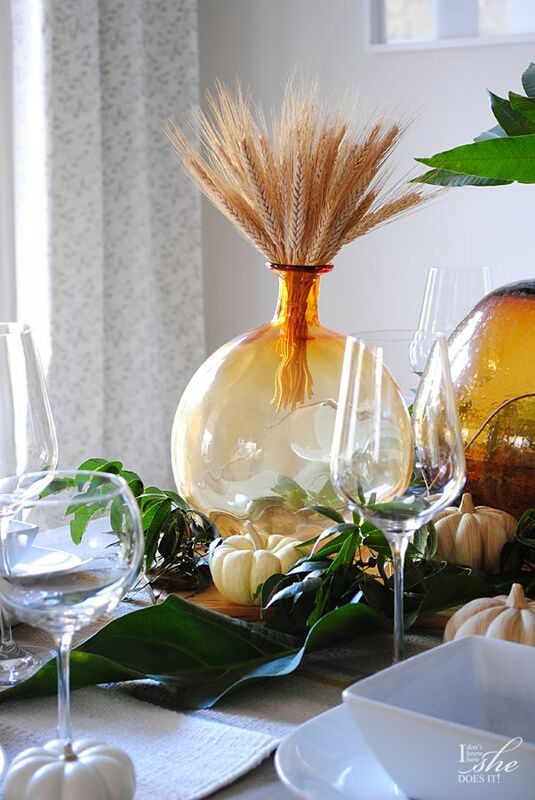 I believe that the rustic/relaxed/organic look of this arrangement will be a hit on our Thanksgiving dinner. What do you think? 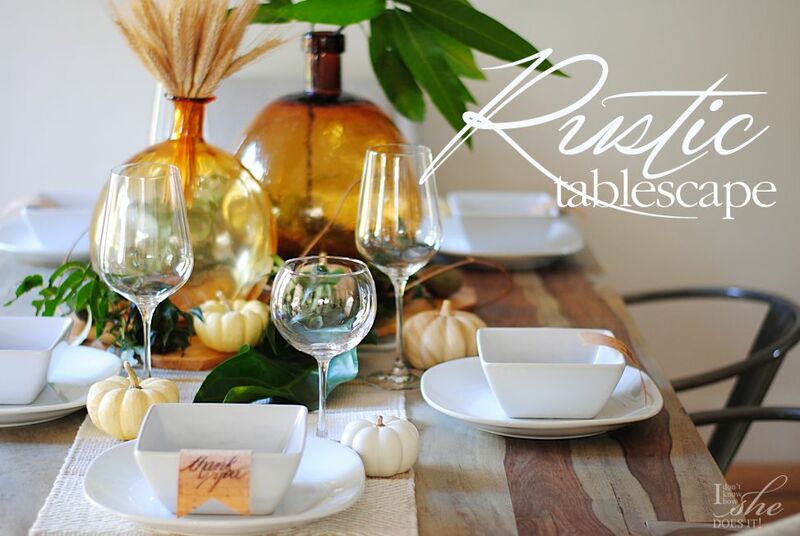 Are you planning to do a tablescape; and if so, what elements are you adding this year? I would love to hear your take on table settings.